We cater to the mature RVer but open to all ages! A quiet and restful retreat located close to numerous attractions, including tax free shopping and numerous historic places to explore in Southern NH Maple sugar country. We started camping here intermittently in 2014. 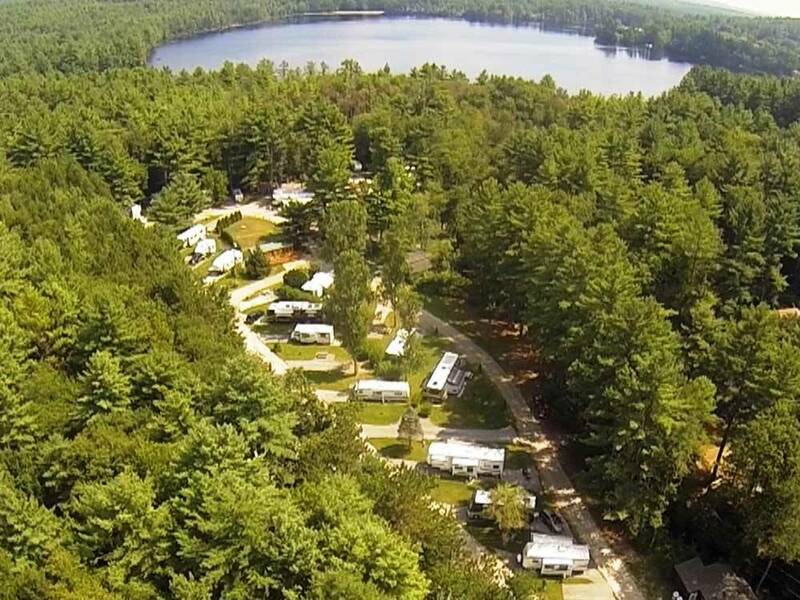 This is a wonderful little RV Park in a beautiful area of New Hampshire. The park features 50+ sites, some pull thru and some back in. The owners are very friendly and always helpful. The restrooms are always kept very clean. Campground services include full hookup at all sites, pull thru sites, firewood, a picnic pavilion with picnic benches, and free cable and wi-fi. Although the site caters to the mature RVer, there is a small playground on premises for kids. We highly recommend this park for short or longer stays.